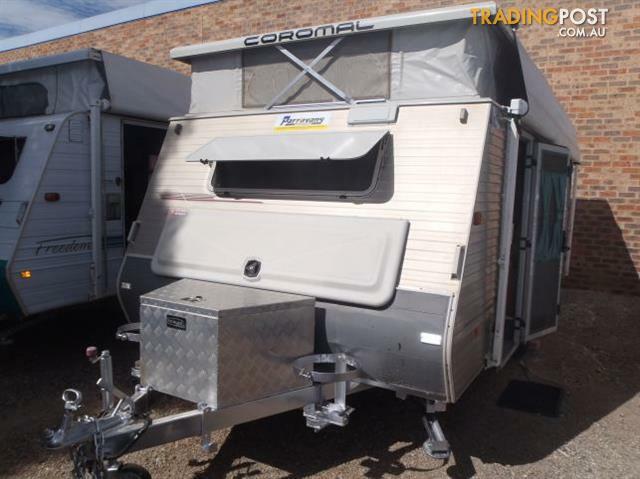 This 2002 build Coromal Excel is a 17&apos;6 poptop featuring 2 rear single beds with innerspring matresses. The can also features a front kitchen, equip with 4 burner stove top + grill, 3-way fridge and microwave. Features also include independent suspension, roll out awning with annexe and anti flap kit, auir con, water filter and large front and rear storage boxes. Sale Price: $22,900 Tow Away!